At the end of each year, the athletes and teams of the year are honoured at a lavishly staged gala at the Kurhaus in Baden-Baden (southern Germany). 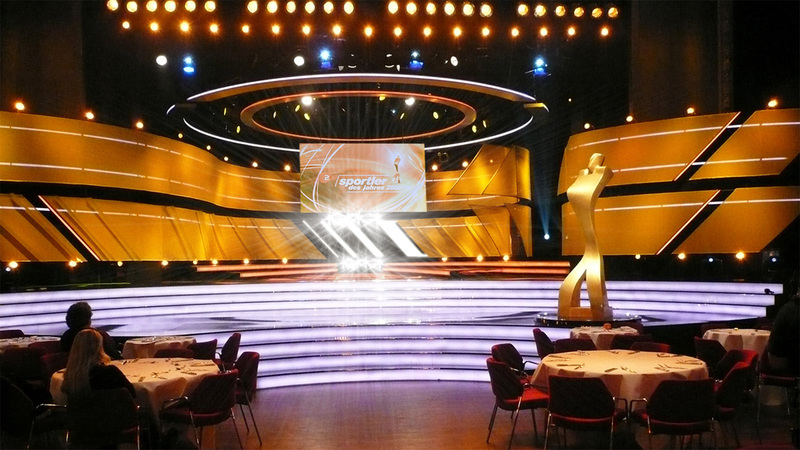 This gala is broadcast by the ZDF. 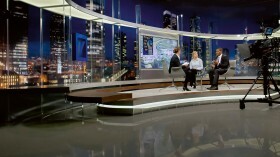 Our stage design is based upon the dynamic double arrows of the channel’s current sports logo. Gold platforms, high gloss black floor and illuminated steps emphasise the glamorous gala atmosphere. 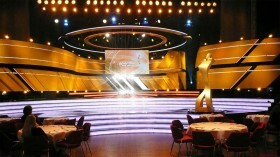 A large version of trophy itself forms the key visual on the front stage.